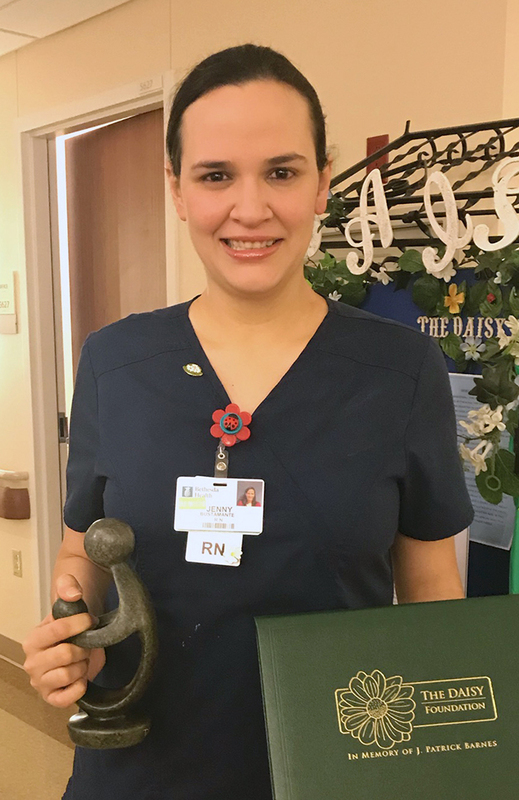 Astrid Fleuridor, RN, began working at Bethesda Hospital East as a Patient Care Attendant on the Orthopedic Unit in 2012. 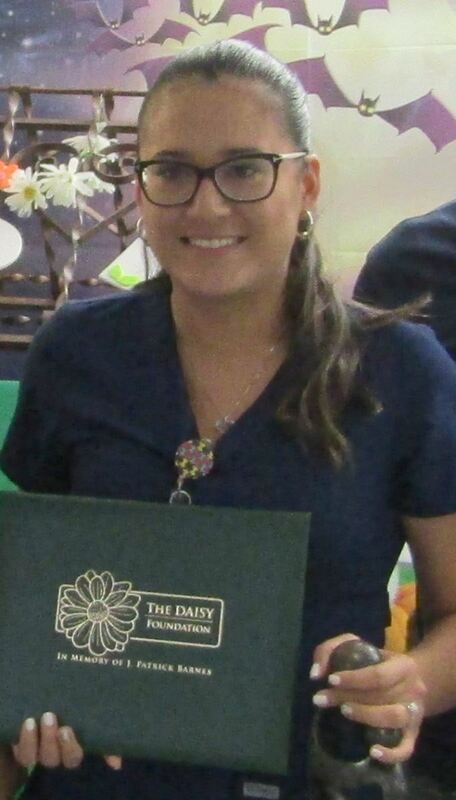 Astrid became a licensed Registered Nurse in 2016 and began her nursing career at Bethesda Hospital West on the Telemetry Unit in November 2016. Astrid and her husband, Marc, have five children: Anaya (13), Markel (11), Avah (2) and 6-month old twins, Micah and Malachi. 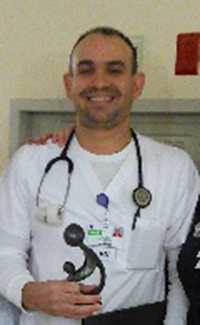 Jose Laboy, RN works at Bethesda Hospital West in the Clinical Surgical Unit. 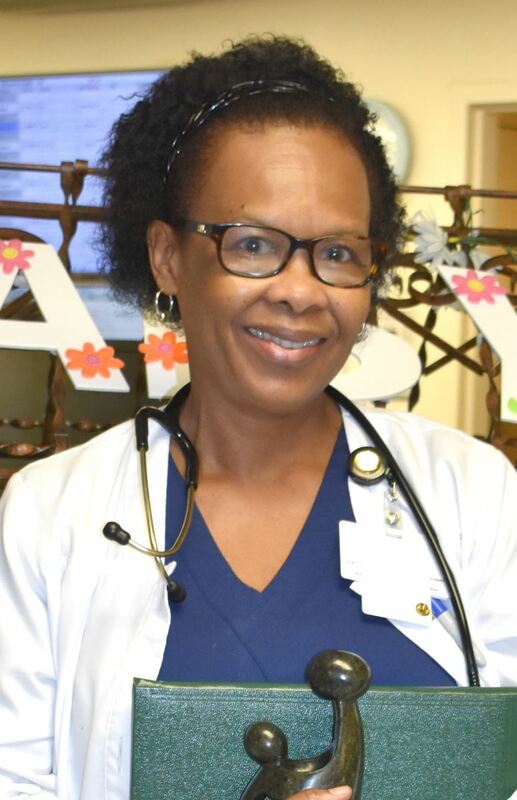 Victoria Hughes, RN works at Bethesda Hospital West in the Intensive Care Unit. 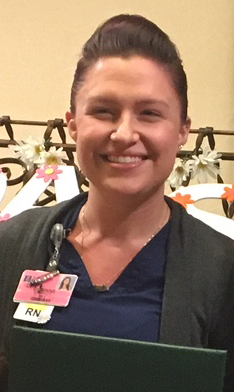 Jenny Bustamante, RN works at Bethesda Hospital West in the Medical Surgical Unit. Jose Montes de Oca, RN works on the Clinical Surgical Unit at Bethesda Hospital West. 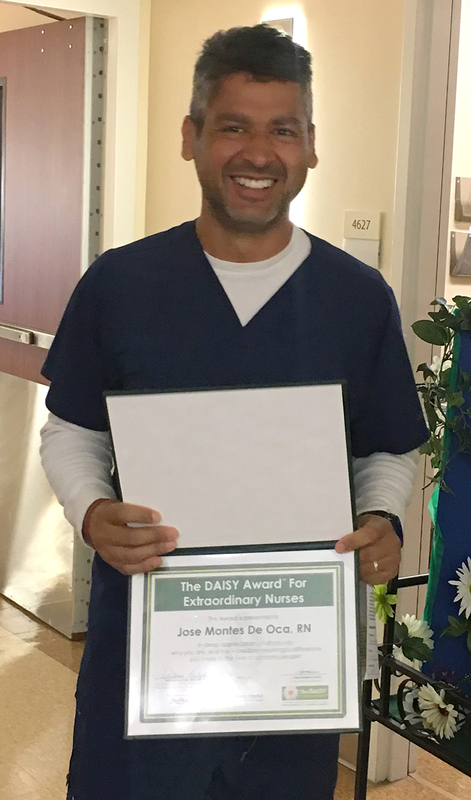 Jose started his career at Bethesda in 2016 in the Emergency Department and transitioned to the RN Residency Program for the Clinical Surgical Unit. He is currently enrolled in the BSN program at Texas University and he serves as Co-Chair of the hospital’s Shared Governance Council. 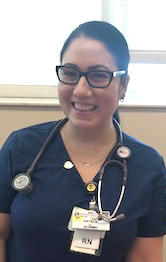 Natalie Martinez, RN, joined Bethesda’s team in April 2015 as a nurse in the Telemetry Unit at Bethesda Hospital East. She transferred to Bethesda Hospital West in March 2017 where she works in the Emergency Department. Natalie serves as a Unit Based Practice Council network leader. 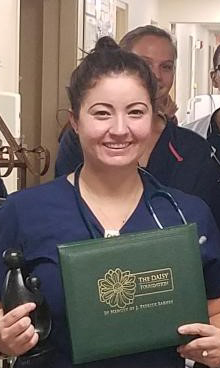 Natalie goes above and beyond her assignments/duties to make sure her team is not in need and all patients in the Emergency Department are cared for. Fun fact: Natalie is a Disney fanatic and travels to see Mickey on a monthly basis! 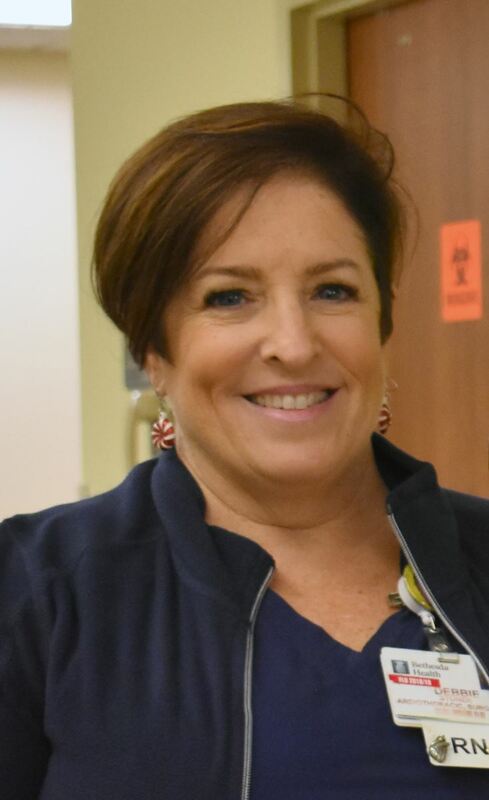 Corinne Barranco, BSN, RN, joined Bethesda’s team in October 2017 and currently works in the Women and Infants’ Unit at Bethesda Hospital East. Corinne earned her Bachelor’s degree from Florida Gulf Coast University in 2014 and she is a Certified Breastfeeding Counselor. Her passion in nursing is working with women and infants. She finds it rewarding to be able to put a smile on a patient’s face during their most vulnerable and scariest times. 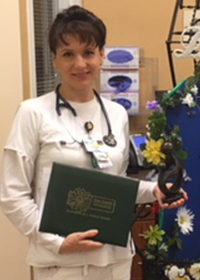 Corinne was nominated for the DAISY Award by a grateful patient. “Corinne was one of the best nurses I have had the pleasure to meet. She had the ability to predict what I needed before I needed it. She was very familiar with my plan of care and took into account my personal preferences and needs. On the first night, Corinne was my nurse and she encouraged me without pushing me to get out of bed about 12 hours after my C-section. During our stay, she seemed to know and respect when I needed time to rest while not delaying my plan of care. She had all my discharge paperwork done the night before I was scheduled to leave. I would not have been nearly as prepared or ready to be discharged and take care of my new infant without Corinne’s attention to detail and caring attitude. At a time I felt disheveled and helpless, Corinne made me feel beautiful and empowered. She is an exceptional nurse and deserves recognition. I have been a nurse for the last 8 years myself and know that nurses like Corinne are such assets to their patients and other staff. Thank you for all that you did for me and that you do for patients everyday." 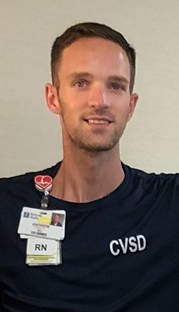 Andrew Halbina, RN, works at Bethesda Heart Hospital in the Cardiovascular Telemetry Unit. Ashley Dougherty, RN, BSN, works on the Clinical Surgical Unit at Bethesda Hospital East. Ashley graduated from Park Vista High School where she was in the medical program and then went on to attend the University of South Florida. Her inspiration for choosing nursing as her career path is due to her father who was diagnosed with cancer her senior year of high school. Ashley saw the great care that her father received during his final days and that influenced her to pursue nursing. Maria Martinez, RN, works in the Pediatrics Unit at Bethesda Hospital East. Sandria Jamieson, BSN, RN, works on the Clinical Surgical Unit at Bethesda Hospital East. Sandria earned her nursing degree at Texas Tech University. Prior to joining Bethesda’s team, Sandria worked at Lakeland Regional in Tampa, FL. Sandria loves nursing because of the satisfaction she receives and the expressed gratitude from her patients. Deborah (Debbie) Stoner, RN is the Surgery Clinical Coordinator for the Bethesda Heart Hospital, Cardiothoracic Services (CTS) program. Her responsibilities include perioperative coordination of care of patients undergoing cardiothoracic surgery. Debbie is also responsible for surgical and interventional data collection and submission to the Society of Thoracic Surgery and American College of Cardiology, National Cardiac Data Registry for clinical outcome benchmarking. A graduate of Palm Beach State College, Debbie has been a Registered Nurse at Bethesda Hospital for 29 years. Prior to her role in CTS, Debbie worked in the Cardiac Catheterization Lab and the Ambulatory Care Unit. Debbie was nominated for the DAISY Award by a grateful staff member. “My mother recently had lung surgery at Bethesda Heart Hospital. No one in my immediate family has ever had any major surgery in our lifetime so you can imagine the nerves, the emotion and the lack of control that not only my mother was facing, but me and my sister as well. We met Debbie the day before my mother’s scheduled surgery. She displayed kindness, sensitivity, humbleness, wit and humor. This was a very tough time for my mom but Debbie explained every detail to her from start to finish. On the day of the surgery, Debbie was texting me and communicating with me throughout the procedure. She was even there in the recovery room to check on us after the surgery. What an AMAZING person. That afternoon, she came back to check on my mom and the family again. Debbie went above and beyond the call of duty and that is why I nominated her for this prestigious award.